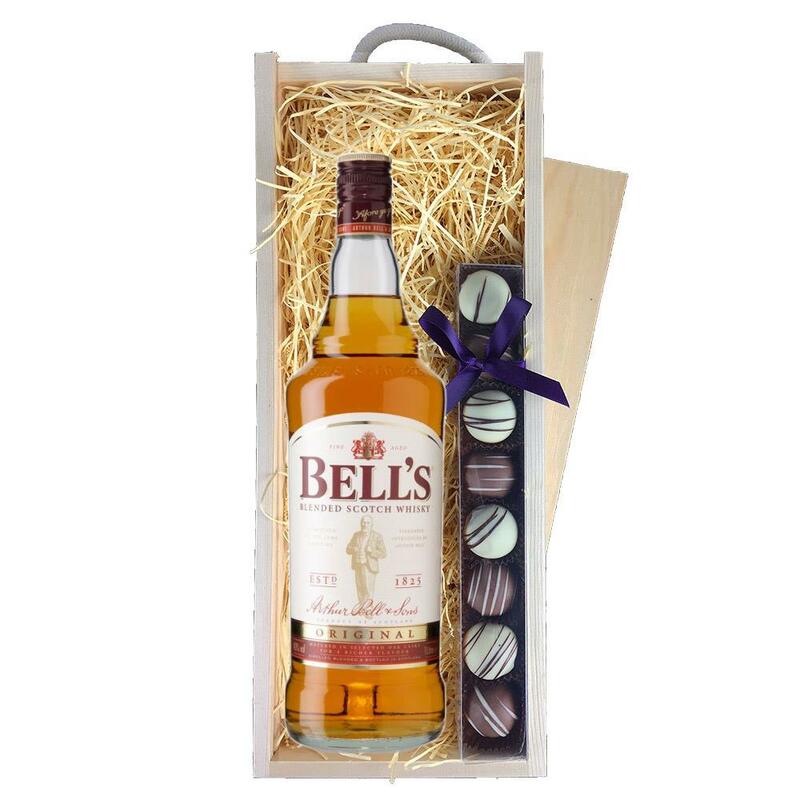 A single bottle of Bell's Whisky and a single strip of fine Hand Made Truffles (110g) Presented in a wooden gift box with sliding lid and lined with wood wool with a Gift Card for your personal message. Bell's Blended Scotch Whisky Premium blended Scotch Whisky. Distilled and blended in Scotland. The malt at the heart of the Bell's blend is rich spiced and nutty (a bit like ginger cake) and comes from our home the Blair Athol distillery.